Are you thinking about creating an animated video for your brand? Check out these 17 best animated explainer videos for some animation inspiration. Everyone has to start somewhere. So see what you can learn from watching these winning videos. This video illustrates the value of the app, Unroll.Me, which is designed to unsubscribe people from unwanted email subscriptions. The video shows real people unsubscribing with their cellphones in hand so that the viewer can see how it works. It is one of the best explainer video examples due to the real use of both technology and people who seem believable. Here is an interesting video animation for business on the topic of an equally exciting subject, AI (artificial intelligence). This topic is the focus of many discussions these days, and this animated video by Hubspot illustrates the history of AI as well as how AI is being used in our modern world. It shows how AI attempts to represent human behavior and, while it can never replace the individual human being on any level, it can fulfill the job when it comes to more mundane tasks or tasks that are remote or can be automated. This saves time for people and business owners so that they can focus on the more critical high-level decisions and tasks that they need to do. This is a great animation illustrating the advantages of the PandaDoc software and how it can help coordinate your sales documents for your entire sales team. The audience for this animation is clear and is meant specifically for an active sales team. This video does a good job of talking directly to their audience and showing them how their product will help with organization in sales and contracts that you need to negotiate. This video is for the Yum Yum Videos company. It features custom animated videos that illustrates four of the most popular types of animations that you can create with animation software and tools. 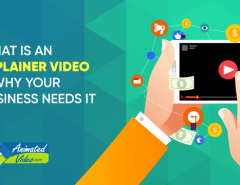 It uses both animation and narration to explain the different types of videos and how each one can benefit your business for different purposes. This video does not use animation for their video message like the others. Instead, it features one protagonist (a Dollar Shave Club representative) who walks through the factory explaining what the company does. It is a direct approach that may appeal to people who are interested in receiving the monthly razors the company offers and who may act on the offer. There is no beating around the bush with this approach and no animation to hide behind. 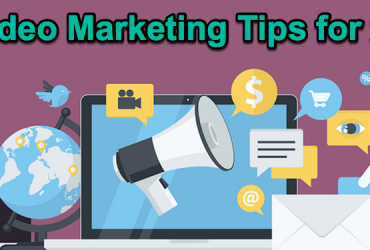 Instead, they are directly addressing their intended audience with the information they need to make a sale. Close to the “hard sell” approach, this may seem a bit aggressive for some viewers, but it serves the purpose if someone wants to know about the company. This video about Mint.com is a unique explainer animation video that shows you easily how you can integrate all of your financial information in one place. They illustrate this with the custom animations and illustrate how they categorize your spending with the Mint.com application. They also include how you can learn to save more money and how they will provide you with better information to make smarter money choices. Spotify doesn’t have a hired actor standing at the front of the shot telling you what you will find on Spotify. You are immersed in it with the upbeat music, dancing, and custom animation that they use to get the point across. The animation is relatively simple but makes use of dramatic drum beats, instrumentals, and animated text (motion graphics) to make their mark. It reminds the viewer of the social aspect of using Spotify to listen to music and keeps your attention to the very end. This information video on the topic of how deep the ocean is gives a dramatic and realistic view of how deep the ocean is. This is an excellent animation video that uses narration, mysterious music, and graphics to combine to create a highly informative and educational video. This would be great for a science class or educational purpose, as well as any application that you need to explain a process that requires a lot of information. This explainer video shows the harrowing statistics of texting and driving accidents which use both motion graphics and real people and other objects to drive the point home. They use narration and music to illustrate the point further. The animated part of the video shows how just one text message exchange while driving takes your focus off the road long enough to cause a severe accident. They then show how to use SafeDrive to gain points for safe driving. This video is directed mostly at millennials, who have the highest incidence of texting-while-driving accidents, as well as their parents and others who are concerned about this dangerous habit. Here is a talking head video using live action camera footage of a strange man in a top hat who calmly and mysteriously explains how the Final card works. He illustrates how it generates a different number everytime you use it to prevent fraud to your account. There are some animations used within the video that adds to the level of engagement. This entertaining explainer video explains how a coffee bean travels from the bean field to your coffee cup. It is something that many people have probably not considered, so he brings awareness of this issue in this video. Also, he talks about how they ensure that their coffee beans are delivered directly to your door and that you know where the coffee is coming from. Everyone knows about Pinterest. But this animated video shows the value of this popular social site. They focus on what Pinterest is best known for, pinups of unique ideas for weddings, parties, and social occasions. It also shows the value of creating pins and lists to share with others. This video takes a “James Bondian” approach to news and shows how to get all of your news in one place and on one site. Depending on how much credibility you give to the aggregated data, this video illustrates how it can save you time to use this site. However, for people who want to dissect the news under a closer microscope, this solution won’t work. The video appeals to people who don’t vet their sources but who want it all in one place so they can go about their day. 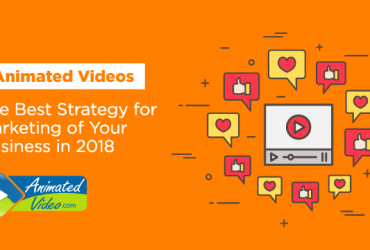 This animated video is a video about how you can use photos to boost your engagement on social media. Yes, this video explains how Munzit, a social media distribution tool, helps you distribute the content of your favorite subjects and tallies the votes, increasing your level of social engagement. This video uses a model (real world actress) to illustrate how their product works. Stitch Fix is a subscription service that combines stylish outfits and jewelry and sends it to your door. The idea of starting a website or blog is probably simple enough, but if you are going about the process for the first time around, it can be quite confusing. 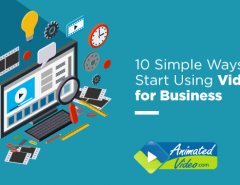 This explainer video not only walks through the process of how easy it is to start a blog, it also gives many reasons why you might want to start one in the first place. This explainer video shows how the Watermark app allows you to watermark your photos and videos, protecting them from copyright infringement and illegal usage. Want to Create an Explainer Video for Your Brand? 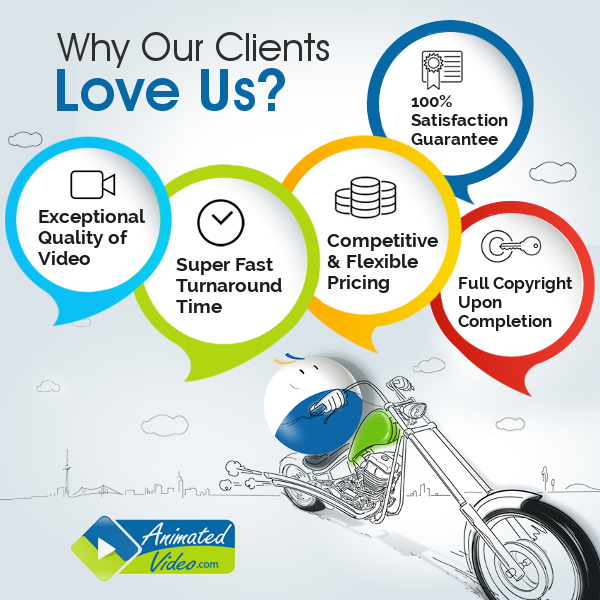 If you are ready to launch your professional explainer video, contact us at animatedvideo.com. We can create any style of affordable explainer video you need so you can get your brand moving forward.